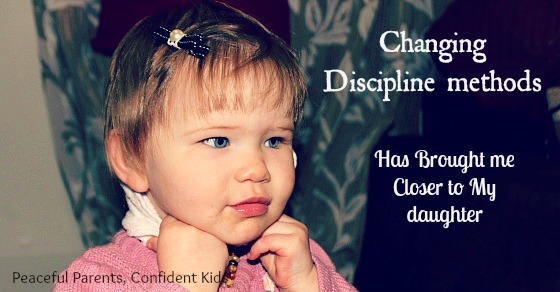 One of the most significant changes I have made in the way I parent is how I discipline my children. I thought ‘trusting my instincts’ was the way to go but I never stopped to consider how my instincts had been formed in the first place and so I went down a path of strict, ‘do-as-you’re-told’, authoritarian-type parenting only to crash head on into my 1 and a bit year old daughter. 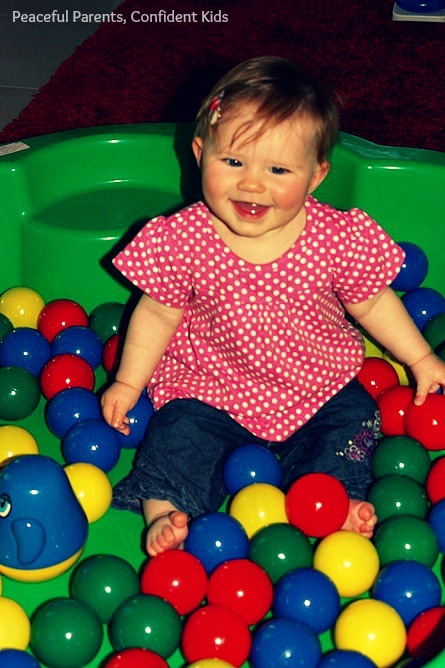 Lucy was born in March 2011 after 3 years of trying, 3 operations and 4 rounds of IVF. I guess you could say she was our miracle baby. Lucy was a perfect newborn; she slept a lot, fed well and was very placid and portable. As such we thought we were perfect parents, all our challenges had been overcome getting pregnant and now we had smooth waters ahead. Before having children, I had never really given a lot of thought to parenting styles and just thought I would use my instincts and follow a similar way of parenting that my parents did with me ie. strong discipline, children need to respect their elders etc. I had always thought well, I turned out okay so it must have been okay to be smacked and roused upon when I did something naughty. Lucy’s easy-going nature meant there were not too many opportunities to use this form of discipline in the early stages of her life. As long as she was being entertained by someone, she was very happy and, as she was an only child, it was easy and even pleasurable being her entertainment on a daily basis. This all changed, however, when Lucy was 5 months old! I was feeling overwhelmingly tired and nauseous. A familiar feeling I had had 12 months earlier! I did a test and sure enough, I was pregnant!! It was a huge shock, but we forged ahead, knowing that we had it in us to cope with another baby. With all the tiredness and nausea, however, being an attentive parent to Lucy was becoming more and more difficult. The more pregnant I got, the more ‘naughtiness’ crept into Lucy’s demeanour. What happened to our placid, happy, carefree girl? I drew on all I knew of parenting (what my parents had taught me) and began scolding Lucy for bad behaviour including rapping her on the back of the hand when she would play with or throw her food. I felt I was losing control. I was pushing my baby away. She was beginning to shy away from me and would prefer to go to her father or Grandmother rather than to cuddle with me but still I felt she needed disciplining for naughty acts. How else would she learn right from wrong? Rapping over her hand was becoming almost a reflex action for me. I would get so angry I would tap the back of her hand without even thinking about it. I was feeling such frustration that she wasn’t learning from her mistakes or my disciplining but at the same time I was beginning to see that deep down my hard line discipline style wasn’t the solution. Then one day something stopped me in my tracks. Lucy (approx 10 months) was in her highchair eating her Lunch. She was a very fussy eater at the best of times and this particular day I had made her a seafood chowder with pasta. She ate about 2 mouthfuls and then as I fed her the 3rd, she hit the spoon out of my hand, sending the spoon and food flying across the room, all over the floor (which had just been vacced and mopped). As I was trying to rein in my smacking, I took a deep breath and moved to pick the spoon off the floor. During this time, Lucy kept her eyes fixed on mine. Then came the moment that would save my relationship with my daughter. She held out her little hand waiting for me to give it a smack. When I didn’t smack it, she took her other hand and smacked it herself! At that moment I felt like the worst Mum in the world. Here I was thinking I was a good mum, training her to be well behaved, doing everything I could to give her the edge in life, to teach her everything she needed to know before she was one. I now realised that, sadly, that included working out that her Mummy would hit her if she was having a hard time at the dinner table or anywhere else for that matter. 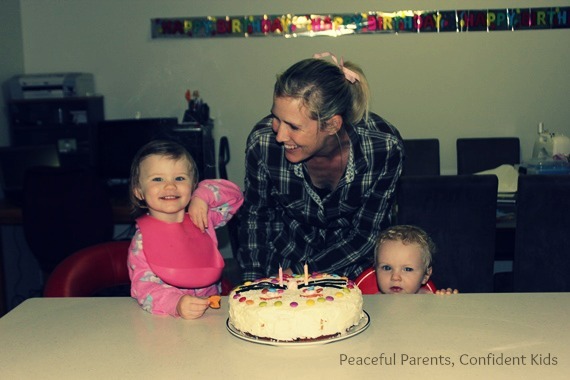 I spent the next few weeks questioning all I had done and all I knew of parenting. I recalled a piece of advice that had seemed to crop up consistently – ‘Trust Your Instincts’. 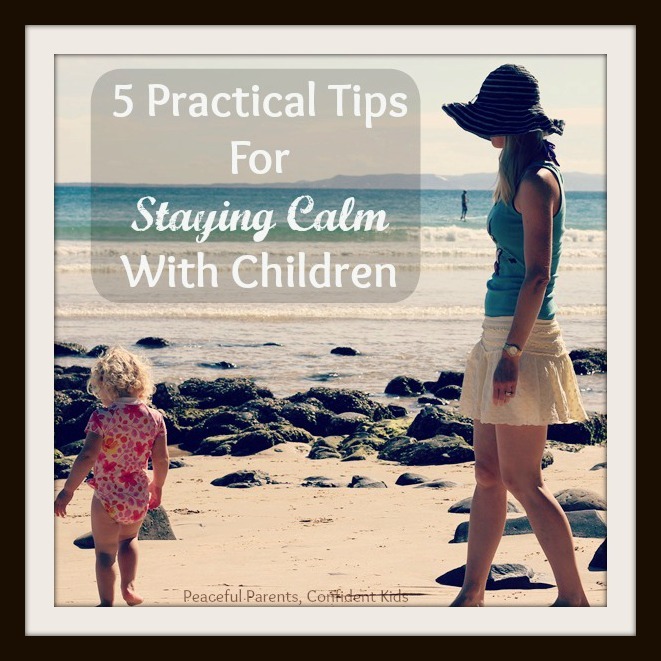 A great piece of advice to allay the fears of a parent that they aren’t doing it right. But my instincts seemed so wrong. 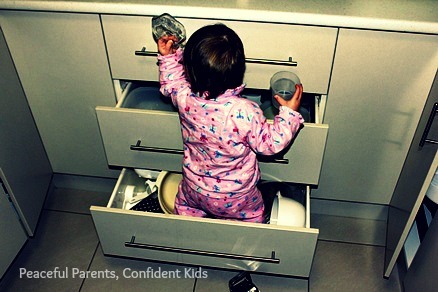 How was this showing my baby that she can trust me to guide her confidently through her life? How would she be able to trust me when she found herself in trouble as a teenager? So I stopped to think, where do instincts come from? Are they innate or are they learned through our lifetime? I guess it’s a bit of both, but I feel experience surely has a significant impact on all we do. So, throughout my 32 years of existence I had gathered titbits of information, had the benefit of living through the consequences, and then drawn on this information as and when I had needed it. Given that I felt I had turned pretty well and reflecting on my upbringing and life experiences at surface level, I had thought that taking the advice to trust my instincts was definitely going to bode well for me throughout my parenthood. I have always had the greatest respect for my Mum. She was a single mother who brought up three children on her own. I have always been so grateful for all that she has done for us. I know she sacrificed a lot to give us all that we had. But when I thought deeper, I realised that my relationship with my parents growing up was distant. I never confided in my Mum about anything important. I was mortified any time I made a mistake and felt in order to get attention I either had to do something exemplary in my schooling or be sick or injured which led to some self-harm issues. I realised that whilst, I had turned out okay, I still suffer from self-confidence issues and although I now have a close relationship with my Mum, we still don’t say I love you to each other and there is a lot about my past that Mum is not aware of. I now know that this is not the relationship I want with my children. It has taken 11 months of parenting to work out that my parenting instincts were not the ones I wanted to follow! 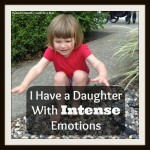 I had to stop the hitting and find a way to mend my relationship with my daughter. I spoke to a few other Mums who suggested a naughty spot. This worked perfectly to change some of Lucy’s behaviours but the distance between us was growing ever wider. As my second daughter was about to arrive, I was worried about how I was going to cope with the two of them!! She arrived and for four months I tried everything to become closer to Lucy. We had outings together, I tried to include her in the baby’s nappy changes and feeds etc but she wasn’t coping and her behaviour was becoming extreme. She would scream the instant something was not going her way, she would throw her toys in frustration and lash out at me if I moved to pick her up if she was being defiant and the final straw – she began finding ways to hurt the baby. When this made me resort to smacking again, I knew I needed help!! 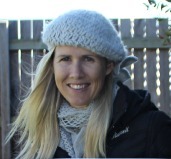 I contacted my friend, Kate from An Everyday Story who I had admired as a parent for some time. I loved seeing her photos on Facebook of things she would do with her kids and often used activities I found on her site with my kids. She advised me to have a look at Janet Lansbury’s blog and I was hooked within 10 minutes of reading! I knew immediately that this was just what I needed. I had no idea what RIE was but the stories I was reading reflected the same problems I was having and the gentle responses really resonated with the parent that I wanted to be. Since that first reading, I have gone through massive periods of guilt for what I put my eldest daughter through for over a year. 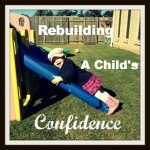 I feel like I got it wrong and became disconnected with the fundamental needs of my child – to be loved and respected. Lucy still has ‘hard times’ (as I respectfully call her tantrums) throughout the day but I am now much more supportive of her during these times and, in general, parent much more respectfully. I can see that these hard times will become fewer in the future. Now when Lucy is having a hard time, I am sure to acknowledge her feelings and show her that I am there to help her through it. If she tantrums on the floor, I usually sit beside her with my hand gently resting on her back so she is aware that I am present with her. I let her express her emotions without interruption and only when she is ready do I try to talk to her. Often, after only a few minutes she will turn to look at me and then climb into my lap, wrapping her arms around me, allowing me to cuddle her. In doing this, I am always mindful that I set the boundaries she needs to feel safe, secure and loved with a simple “I can see you are upset that I won’t let you have that cookie. I know they are very yummy, but dinner will be ready in 10 minutes and I don’t want you to spoil your appetite.” Often she will express her difference in opinion with a minute or two of objectionable yelling, but inevitably she calmly moves on and happily eats her dinner when the time comes. It’s taken time to regain Lucy’s trust in this way but she now regularly comes to me asking for a ‘big, big cuddle’ and I shudder to think I very nearly lost that forever. 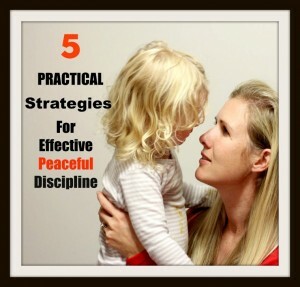 This entry was posted in Peaceful Discipline and tagged Discipline, Respectful Parenting, RIE, setting limits, Trusting your instincts on March 10, 2013 by peacefulparentsconfidentkids. For some reason, I’m addicted to reading articles like this even though I’m not a mom and don’t want to be. My parents pushed me away with constant tension and perfectionism and judgment my whole childhood, and now that I’m an adult they want to be close. 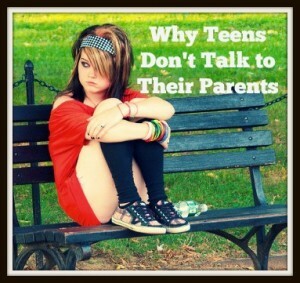 I barely talk to them and they’ll probably never understand why.